Lt. Col. Bryan Hardwick R.I.P. ARCO regrets to inform its members of the death of Lieutenant Colonel Bryan Hardwick of Dublin and formerly of Cork. On Friday, December 21, 2012. Beloved husband and best friend of Clare and loving father of Mary, Judy, Thanet and Vicky. Sadly missed by his wife and daughters, sisters Clodagh and Sally, brothers-in-law, sisters-in-law, sons-in-law Frederick, Greg, Ted and Frank, his fourteen beloved grandchildren, nieces, nephews and a wide circle of family and friends. Removal on Sunday to the Church of Sts. Columbanus and Gall, Milltown arriving at 7 pm. 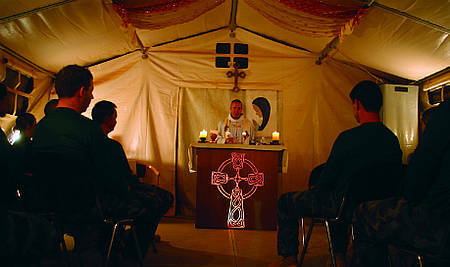 Funeral on Monday after 10 am Mass to Redford Cemetery, Greystones. Family flowers only please. Donations in lieu to the Society of St. Vincent de Paul. 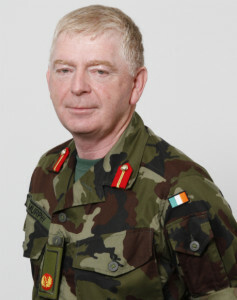 Brigadier General Dennis Murphy, General Officer Commanding 2 Eastern Brigade, retires from the Defence Forces on 18 January 2012. Brigadier General Murphy’s retirement presentation will take place in the Officers’ Mess, Cathal Brugha Barracks, on Thursday 12 January 2012 at 1600 hours. ARCO members who wish to be associated with the presentation are requested to forward their subscriptions (12 euro suggested) to the Secretary, Officers’ Mess, Cathal Brugha Barracks, Rathmines, Dublin 6, by 5 January 2012.